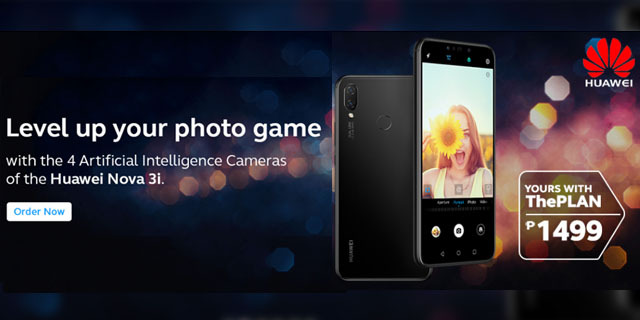 Home / globe / huawei / nova 3i / postpaid / smartphone / Get a FREE Huawei Nova 3i at Globe ThePlan 1,499. Get a FREE Huawei Nova 3i at Globe ThePlan 1,499. Huawei together with Globe Telecom brings another exclusive deals to all of its consumers. As Globe introduced ThePlan 1,499. For more info visit Globe.com.ph.